Raised in the Midwest but currently residing in the Bay area, 20-year old rapper annex part-time producer BenFlowz has got quite a musical journey behind him. Starting playing the piano at 8, makin demos at 12 and releasing a debut album at 15, he can be considered one of those young lions who try to get a piece of the hip-hop meal. 'Tomorrow: The Renaissance of Hip-Hop' is a 'coming-of-age' project, as Flowz explains it in the introductional interview. 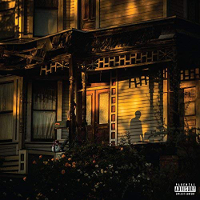 Life experiences are a recurrent theme throughout the album, unravelled over underground boombap, smooth soul and beats that touch a mainstream vibe. The first song for instance has a bold, 'ante up' flava to it, ready for radio consumption and revealing influences of MOP, Busta Rhymes and even DMX. Raw and unpolished, Benflowz likes to challenge his vocal capacities and entertains the listener with irregular rhyme patterns. Already selling tapes at 12 years old, there's no doubt BenFlowz is an enterpreneur besides artist, this being confirmed in 'Money Make The World Go Round', of which two versions (original and remix) are included on the record. The original sounds smooth and mellowish, holdin the 'make money' sample that characterized Junior Maffia's hit single 'Get Money' so well. More highlights are 'Kill Heston', the mesmerizing soul of 'Is It Love', the pounding drums of 'Downtown' and the closing title track 'Tomorrow'. 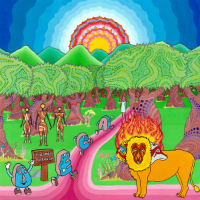 Several producers are included in the line-up (two by BenFlowz himself) and give this album a nice diversity that break through the monotony a 18-track album sometimes brings along. 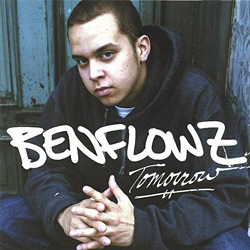 'Tomorrow' is an honoust effort that shows Benflowz' dedication, persistence and potency. Not your favourite rapper nor producer, but a name to remember!